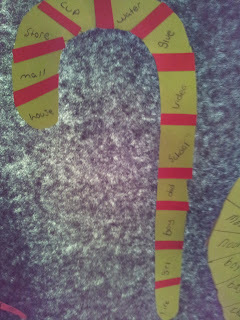 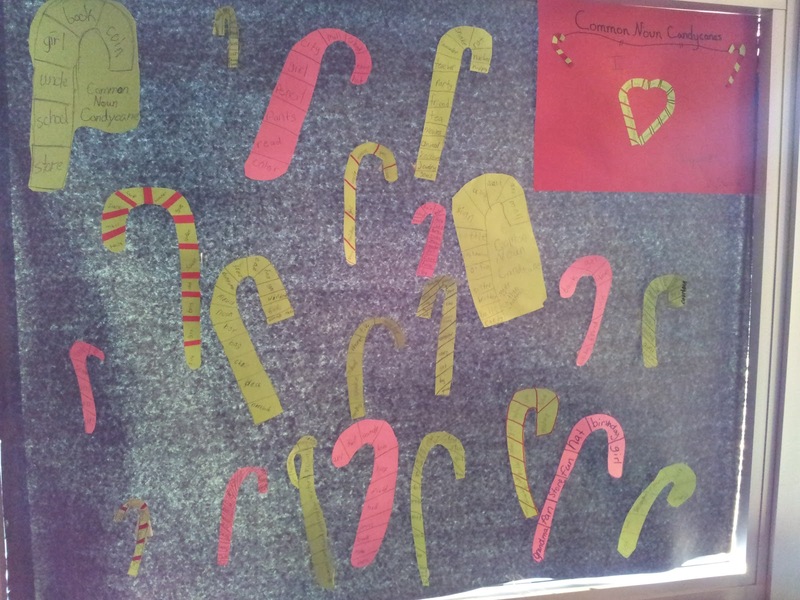 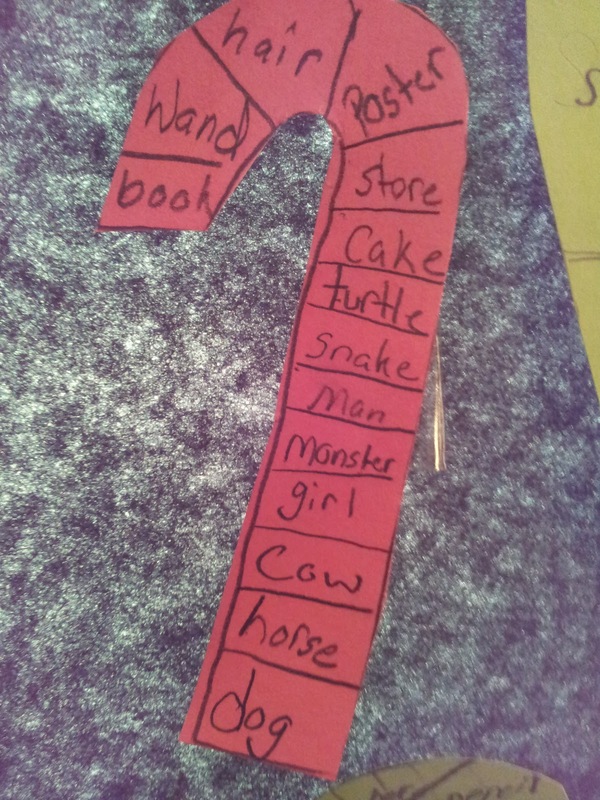 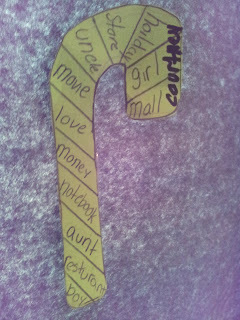 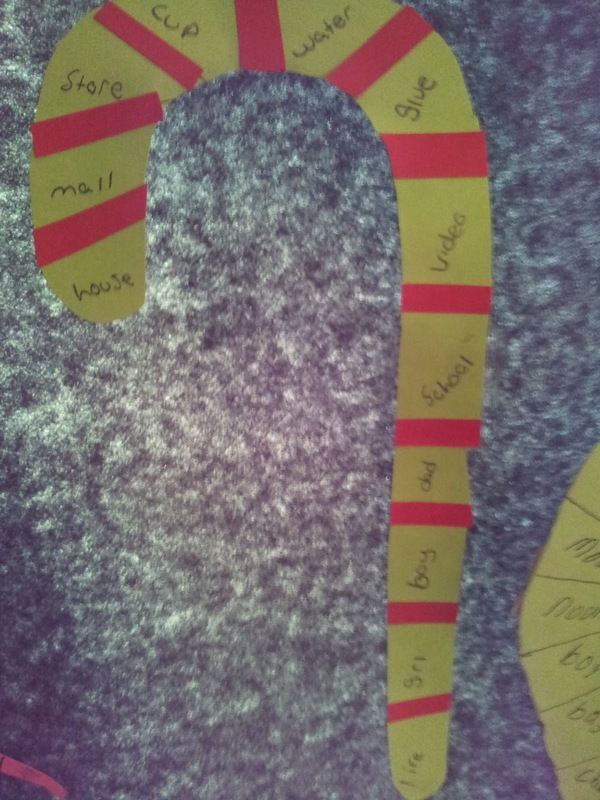 To help us review common nouns in a fun, festive way we created common noun candy canes. 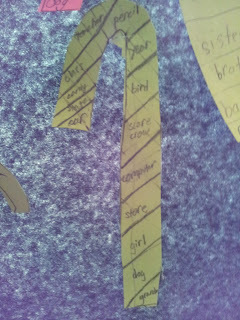 A noun is a person, place, thing, or idea. 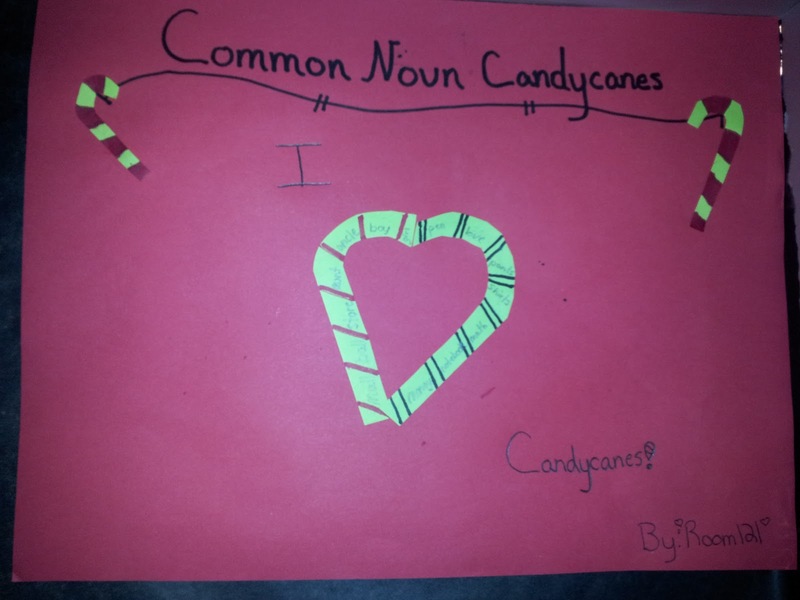 Nouns can be common or proper. 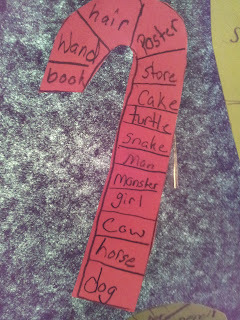 If a noun names a specific person, place, thing, or idea (like Logan, Florida, Charlotte's Web, or February), it's a proper noun. If a noun is general person, place, thing, or idea (like guy, state, book, or month), it's a common noun.